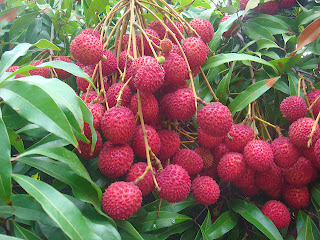 Have you ever eaten lychees? They can often be found fresh in the grocery store. They have a red, nubbly husk. Inside is a large seed surrounded by sweet, white flesh. You can also find them canned in the fruit or “international” aisle. Lychees are pretty sweet—sweeter than any of our local fruit—so I was a little leery when I concocted this recipe. But I wasn’t too worried because there are similar recipes floating around. I also had a steak that needed cooking, and a can of lychees that had been hanging around without a use. I was kind of surprised that this recipe wasn’t as sweet as I thought. 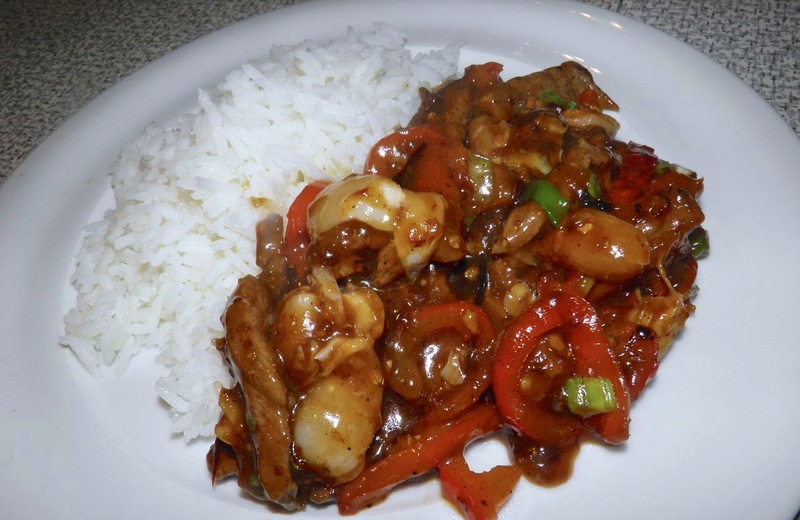 It’s no sweeter than pineapple chicken or sweet and sour recipes, although a little on the “junky” side. Maybe that’s what the attraction is for me. It’s a little un-authentic. Although – as far as I can figure – it is close. Fruit goes very well with beef, so it’s a good match. If you’ve never eaten lychees you should do yourself a favour and try them. They’re an amazing ingredient. Lychees are amazingly versatile. Some easy to find recipes are cucumber lychee salad, gorgonzola and lychee dip, various lychee salad dressings, lychee muffins, and lychee glazed roast chicken. See what I mean? For my own part, I have posted a fried calamari dipping sauce that uses lychees. It’s one we recreated from one of our favourite Halifax restaurants, Vinnie’s Pasta Bar on Inglis Street. So if you’re up for some Asian food, buy a can of lychees and go to town. This recipe makes enough to feed 3-4 easily as a main course with rice. Prepare all the ingredients before you start. It makes life far easier. Thinly slice the beef and place in a bowl. 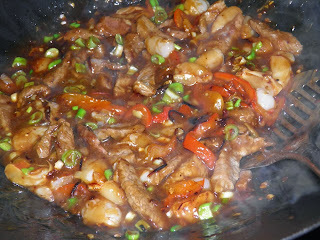 Add 1 tbsp soy sauce, 2 tbsp cornstarch, pepper and a generous pinch of salt. Toss well to coat and set aside. Drain the lychees (reserving 1 cup of the syrup) and slice in half. Slice the red pepper and place with the lychees in a small bowl. Slice the green onions. Chop the red chillies, garlic and ginger and set aside. Mix all the sauce ingredients together in another bowl. Now you’re ready. Heat a generous tablespoon of vegetable oil in a wok. Add half of the beef and stir fry just until no longer pink. Remove to a bowl and add the rest of the beef and cook. Then remove it as well. Scrape the bottom of the wok if there is a brown crust, and remove it. If not you won’t be able to fry the aromatics. 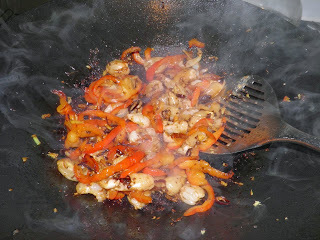 Add a little more oil and stir fry the chillies, garlic and ginger for 2 minutes. Then add the lychees and red pepper. Stir fry for 2-3 minutes and then add the beef back to the wok. Pour in the pre-mixed sauce. The mixture will thicken almost immediately. Add the green onions, some salt and cracked black pepper, toss and serve with hot rice.